To detect and exploit SQL injections, I usually prefer sqlmap. It is a command-line utility, it can do a lot of things, it uses all possible SQL injection methods, tries to bypass server protection, can create shells and much more. It is also cross-platform, reliable and very effective. 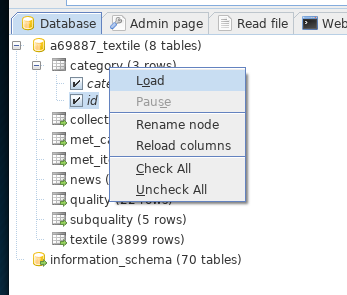 Since sqlmap is extremely powerful and flexible, for the command-line program it means a huge number of different options. For beginners this may seem too complicated. JSQL Injection has an excellent graphical interface. The program is written in Java, it is cross-platform and very undemanding to resources. By the way, the executable file is only 2.14 megabytes. If you receive any SQL error message, then the site is likely to be vulnerable to SQL injection. In addition, often vulnerable sites in response to a quote character, do not display anything, or the behavior of the site gives grounds for assuming insufficient data filtering. It is definitely not worth looking for SQL injection in popular CMSs. Even if they are found there, they are almost always difficult to exploit. If you read this guide, then it is for sure (yet) not your level. Popular CMSs can become vulnerable due to vulnerable plugins (especially self-written ones). However, again, this is not our level yet. jSQL Injection is already preinstalled in Kali Linux. But the version there could be outdated is already available. By the way, this is one of those programs for pentesting that work fine in Windows. Run the downloaded file with a double click (you need to have a Java virtual machine). Working with the program is extremely simple. Just enter the address of the site and press ENTER. 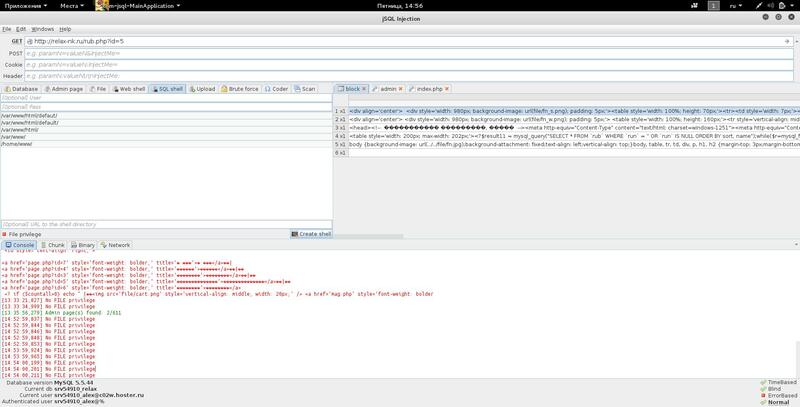 The following screenshot shows that the site is vulnerable to three types of SQL injections at once. 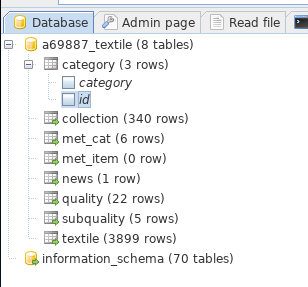 We already got names of available databases. Usually, tables with named administrator, users are the most interesting, because the can contain credentials. If you are lucky and you found the administrator's credentials, it is still not enough. We still need to find an admin page where to enter these credentials. Convenience is that you do not need to use other programs. This is a hash. You can decipher it with brute force. And … jSQL Injection has a built-in brute-force. Undoubted convenience is that you do not need to look for other programs. There is support for many of the most popular hashes. This is not the best solution. To brute-force on maximum speed use Hashcat. 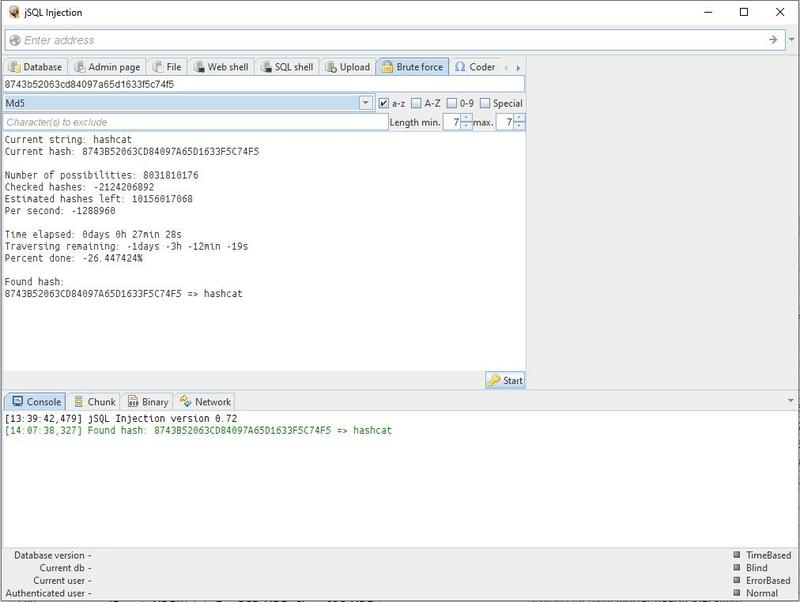 However, of course, when there is no other program at hand or there is no time to learn Hashcat, jSQL Injection with the built-in brute force function will be very useful. There are settings: you can specify what characters are in the password, the length range of the password. And all this is implemented in jSQL Injection! There are restrictions - the SQL server must have enough privileges. Good system administrators disables it option and access to the file system cannot be obtained. The presence of file privileges is easy enough to verify. Go to one of the tabs (reading files, creating a shell, uploading a new file) and try one of the specified operations. Still very important remark - we need to know the exact absolute path to the file with which we will work - otherwise it will not work. Any response to a file operation is answered by us: No FILE privilege, and nothing can be done about it. This means that you have incorrectly specified the absolute path to which the file should be written. In order to assume the absolute path, you need, at a minimum, to know the operating system on which the server is running. To do this, switch to the Network tab. As you can see, everything went fine from the first time. But here I myself have doubts about the jSQL Injection shells themselves. If there are file privileges, then you can download anything with the web interface. And even this function is in jSQL Injection. Everything is extremely simple - insert a list of sites (you can import from a file), select the ones you want to check and click the button to start the operation. 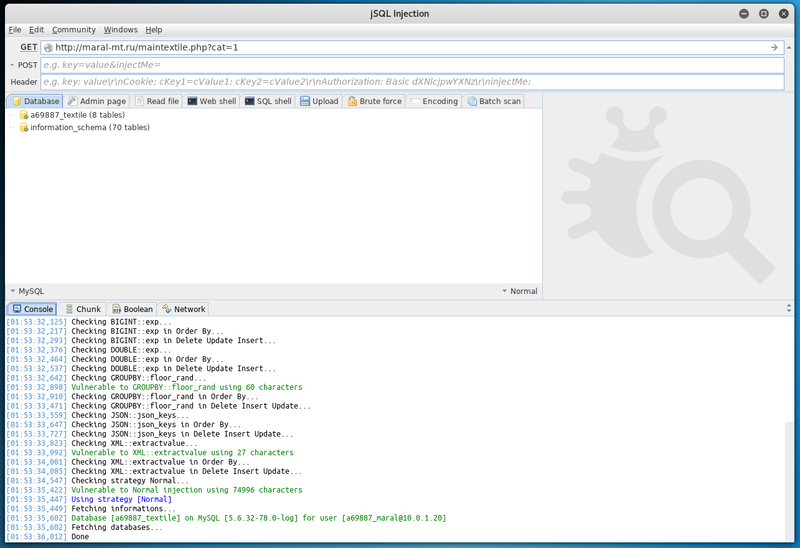 jSQL Injection is a good, powerful tool for searching and post-exploiting vulnerable to SQL injection web sites. Its undoubted advantages: ease of use, built-in related functions. 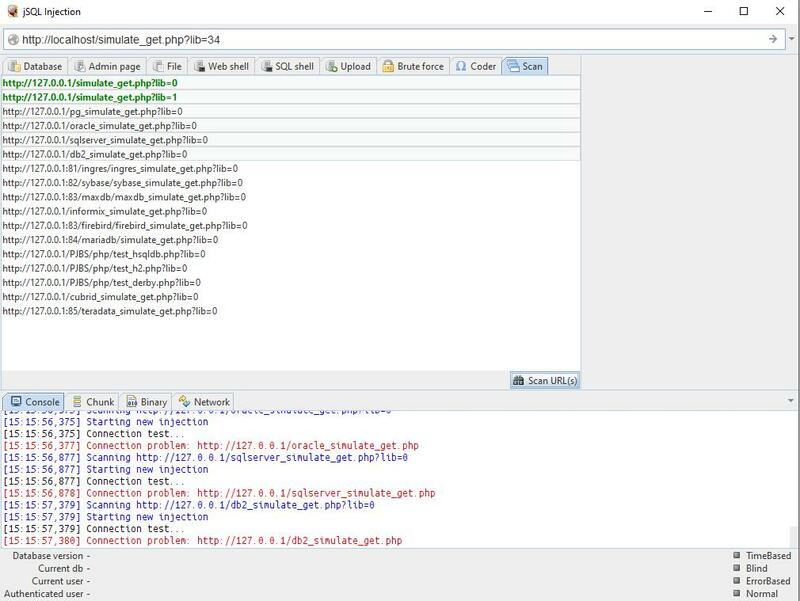 jSQL Injection can become a novice's best friend when analyzing websites. Like all tools with a graphical interface, it cannot be automated in scripts. Nevertheless, some automation is possible in this program as well, thanks to the built-in function of mass web site scanning. The jSQL Injection program is much easier to use than sqlmap. 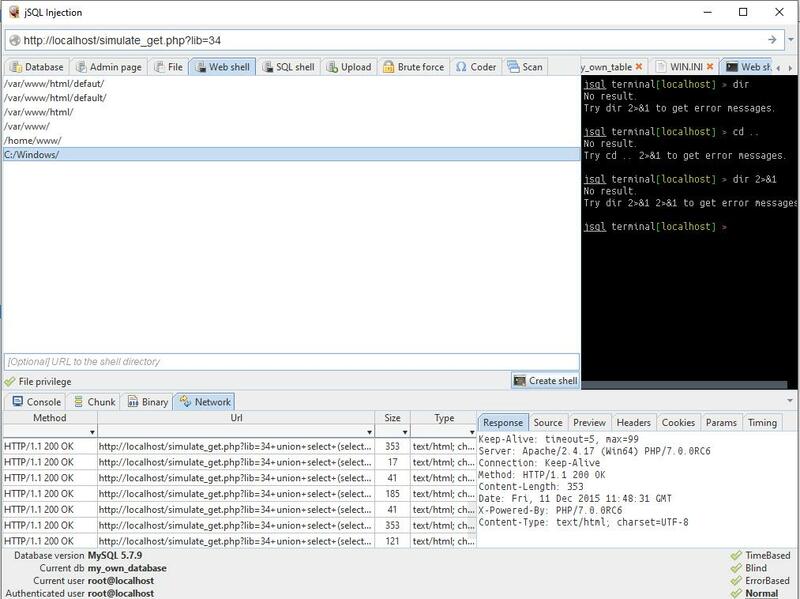 But sqlmap supports more types of SQL injection, has options for working with file-based firewalls and some other functions. Outcome: jSQL Injection is the best friend of a beginner hacker.